We have all felt both the burden and the allure of competing cultures. We’ve perhaps thrilled to the joyous spectacle of sparkling and fantastically colorful Christmas lights on the way to kids’s Hanukkah parties; or maybe we’ve delighted over the deeply moving poetic cantos of the American poet Ezra Pound while turning away from the memory of his notorious wartime broadcasts and essays, for which the 1939 essay, “The Jew: Disease Incarnate,” serves as the most egregious example. And Hanukkah—which commemorates a time the Jewish population was forced to consider not only its political suffering under the yoke of the Seleucid empire, but the implications for their identity as Jews of their participation in Hellenistic culture—is a particularly apt moment for considering the multiple allegiances the Jewish people have historically maintained with other cultures. It’s a theme that echoes throughout different times and places in Jewish history. One such location was mid-19th-century England. 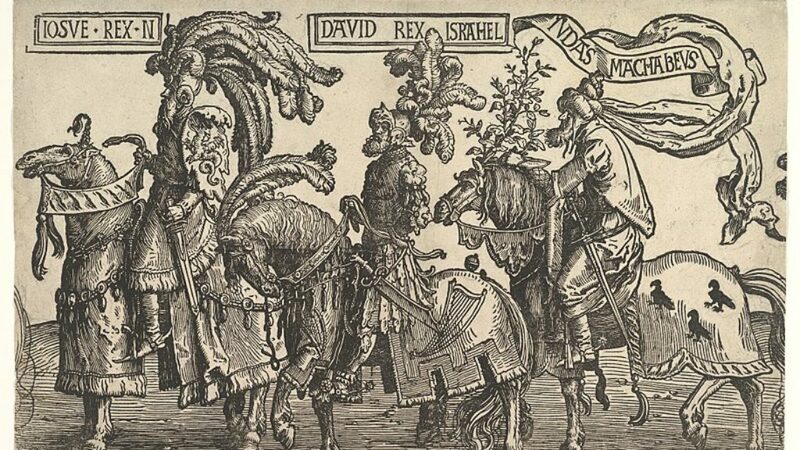 More than 500 years earlier, in 1290, the entire Jewish population had been expelled from the country. They were allowed limited re-entry in 1656 under Cromwell, but the Jews did not gain full civil and political emancipation in England until 1858; until then, they suffered under such official disabilities as an inability to vote or to trade in London and on the stock exchange, exclusion from membership in Parliament, and exclusion from standing for mayor of London. In 1839, sisters Marion and Celia Moss published their first collection of poetry, Early Efforts: A Volume of Poems, by the Misses Moss, of the Hebrew Nation, Aged 18 and 16. It was one of the first volumes of poetry by Jewish authors in England, and it presents remarkably precocious work that takes the measure of their precarious identities as proud Englishwomen entirely committed to their Jewish heritage. 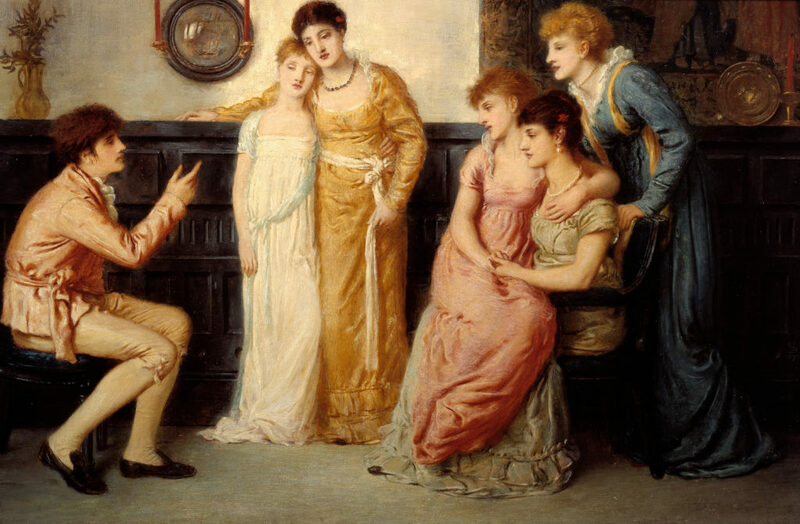 A Youth Relating Tales to Ladies, Simeon Solomon, 1870. Of Israel, in such dwelling place? Ruin upon their tribes had brought. One of the striking aspects of this poem is that the Moss sisters represent the Jews as embodying England’s most authentic values. What we have in this passage is a description of the English “stately hall” decorated with the proud reminders of English military might, “the sword and buckler on the wall / Won from the foe in tented field.” But in the hall there are no warriors; the image of the brave English of famed and just valor has given way to the blood-thirsty English swarm, and it is the courageous Jews who are sheltering in the halls of the castle—the very symbol of English stability. With their “jetty” (black) hair and eyes, they don’t look like Englishmen—but they embody genuine English fortitude. That will ne’er be erased from the records of fame. Yes! Our faith in their truth, with our blood must be seal’d. For those who prefer to apostasy—Death. The Maccabees are celebrated for having pushed back against the imposition of Hellenistic values, and especially for forging a rebellion in the name of religious freedom when Antiochus IV proscribed Jewish ritual practice. Their memory is appropriated in this poem to establish the premise of a resolute Jewish identity that can rise to heroism in the face of adversity. 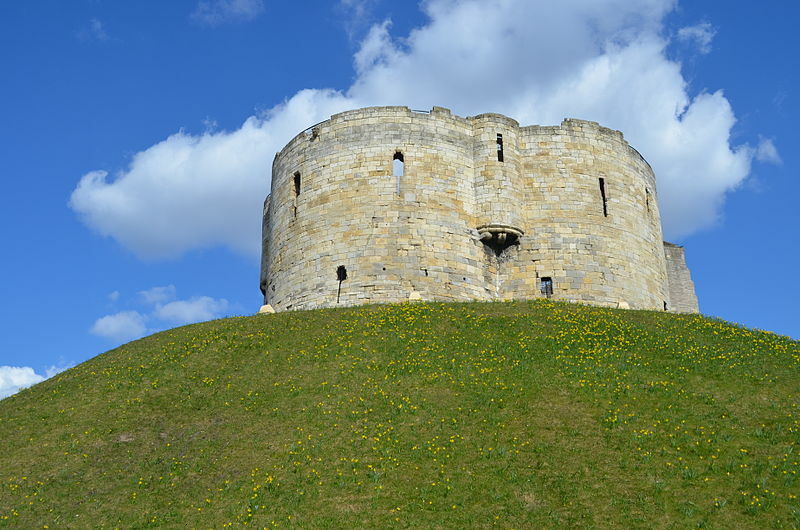 The Jews who die at York Castle will be leaving “in their country’s annals a name / That will ne’er be erased from the records of fame.” And their country is England. This is a rather remarkable turning of the tables, and a splendid irony: this poem about the moment when Jews were victimized as outcasts implicitly becomes a poem about their rightful belonging to a nation whose glorious history they presume to define. To this ironic reversal we may add one further example of historical context. On the occasion of the defeat of the 1830 Jewish Relief Bill, The Spectator magazine published an indictment of English hypocrisy in their relation to the Jews: “A Jew may be born in England—he may be bred there—he may speak the language, obey the laws, conform to the customs of an Englishman; he may cigar it, drink it, game it, race it, box it, as naturally as the most genuine bit of John Bull extant—and be an alien to all intents and purposes notwithstanding.” For the Moss sisters, though, the Jews are no aliens: they are the proud inheritors of the most authentic understanding of both English and Jewish culture. Karen Weisman is a professor of English at the University of Toronto and author of the recently-released Singing in a Foreign Land: Anglo-Jewish Poetry, 1812–1847 (University of Pennsylvania Press). The exchange between Rabbi Riskin and Rabbi Sacks on Jewish power and politics is illuminated by the history of Hanukkah. Emma Lazarus’s 1882 poem for Rosh Hashanah responded to the crises of her day, foreshadowed “The New Colossus,” and resonates today. 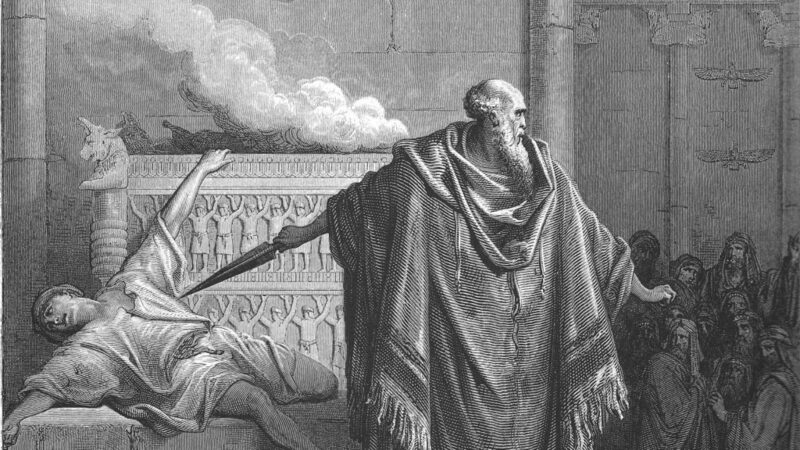 That Judah, the great victor of the Hanukkah story, ultimately died fighting the Seleucids is something that surprisingly few Jews know. And were the Maccabees actually underdogs?